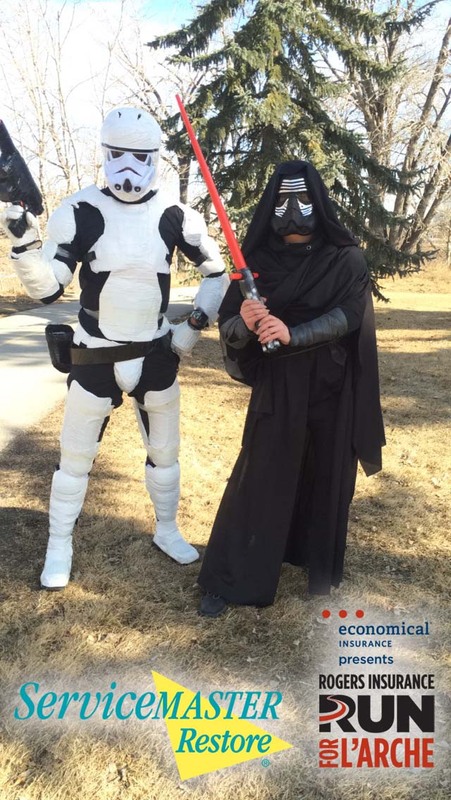 Not even Kylo Ren, Captain Phasma nor a Stormtrooper could bring the Rogers Run for L'Arche competitors over to the dark side on Saturday March 19, 2016 as they competed in the 5 mile and Half Marathon. Of course, they had Rey, Luke Skywalker, C-3PO, Chewbacca, and pilot Jessika Pava fighting for The Resistance. 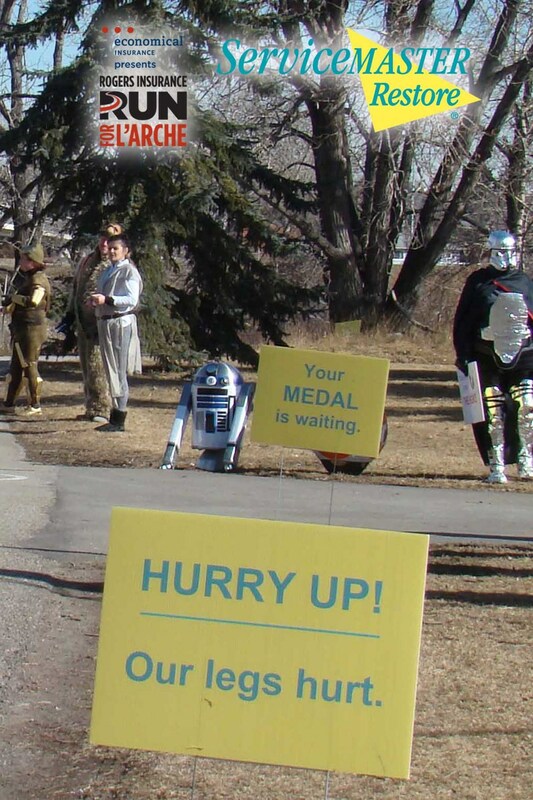 The Resistance even had the backup support they needed from R2D2 and BB-8 during the race. "The Force was unbelievable", said runner Fitz Solomon. "It just drove me along, all the way to the finish". "It's true", said runner Luke Bergmann, "It gave me just the energy I needed to push for the finish line". "ServiceMaster of Calgary is pleased to support this fantastic cause of L'Arche and those with developmental disabilities", said President & GM Rob Ordman. "Every year we bring volunteers, runners and the infamous costumed cheerleading squad to support the run. We also make sure the runners are rewarded with a great momento of the race in their goodie bags - it all adds up to a great event." Thanks to Economical Insurance and Rogers Insurance for putting on such a successful race and community event. Thank you also to ServiceMaster employees and volunteers: Dave Anderson, Jim Bourlon, Charlotte Cuthbertson, Jill Ledyard, Joan Montgomery, Sophie Peyton, Shari Robertson and Rob Ordman. Finally, a nod out to our ServiceMaster runners this year: Tawfik Al-Amin, Luke Bergmann, TJ Mubika, Beth Ordman and Fitz Solomon. They are all going to have their work cut out for them when Yoseph Meteke runs next year (he had to work this year!). Watch for us supporting this great event in 2017!